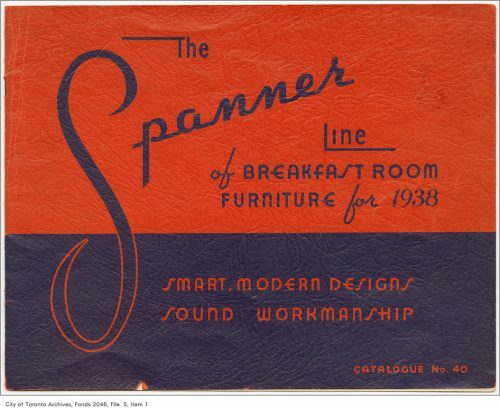 In 1941, Russell joined the family business, renamed Spanner Products Ltd., working as the foreman of the night shift. The routine work of supervising the manufacture of battery boxes was not particularly challenging, and in 1945 Russell sought to expand his horizons by taking a course in factory management. 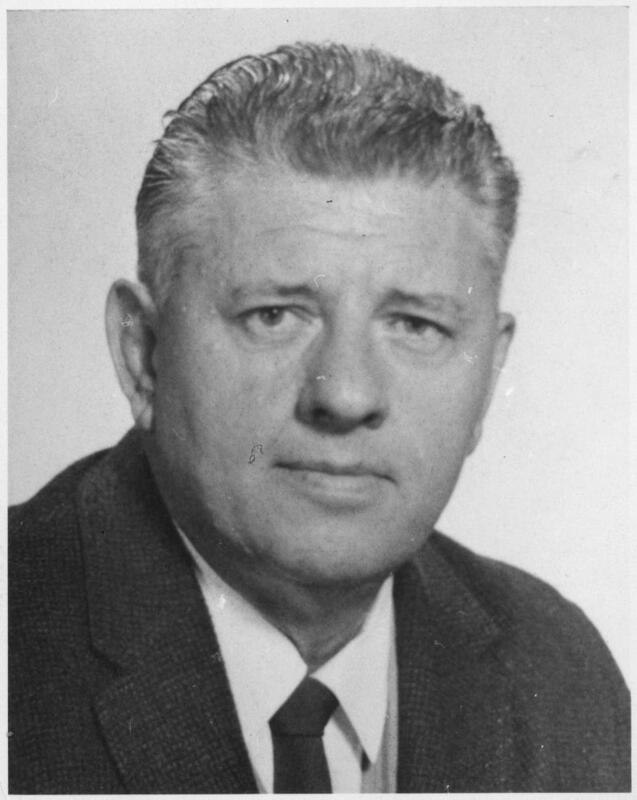 He had many ideas to improve plant efficiency, but met opposition from his father Albion Spanner, Sr., with whom he had a stormy relationship. In the summer of 1945, Russell was reassigned to superintend the day shift, which meant that he was overseeing the production of furniture rather than battery boxes. While delighted with this change, Russell was keen to start developing his own designs, rejecting the art déco styling of the breakfast room furniture. 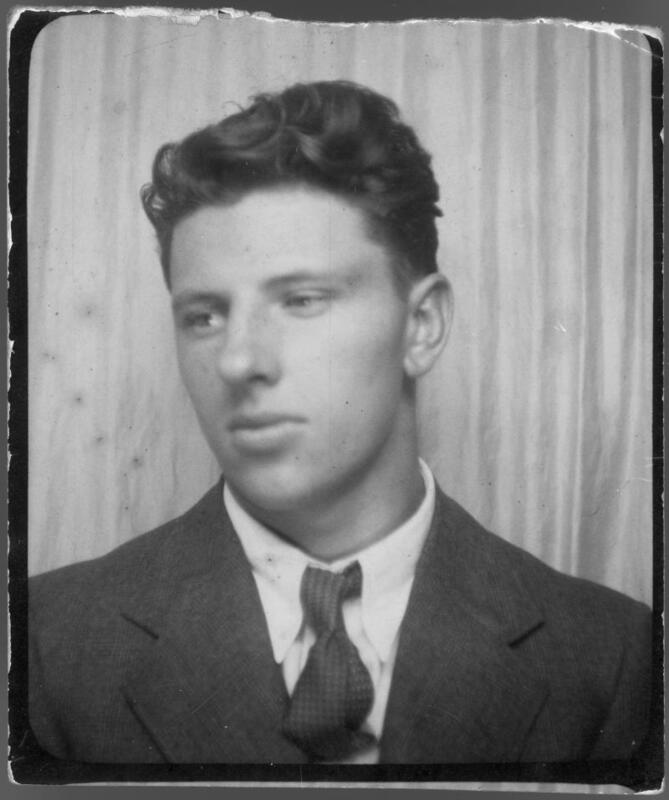 However he wasn’t truly able to spread his creative wings until 1948, when his father Albion retired and Russell became the plant foreman. The first line of furniture he developed was called Ruspan Originals. 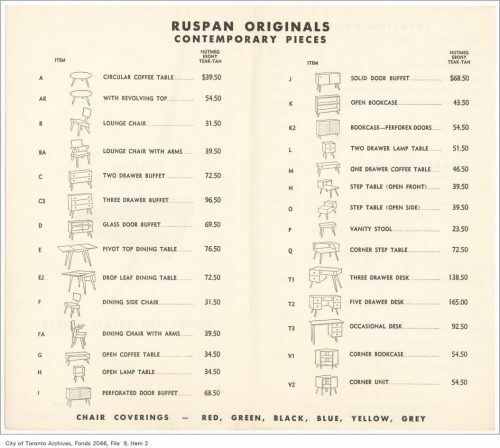 The Ruspan Line was characterized by a simple, stripped-down look, boxy and designed to a modular standard so that one could build up a collection of pieces that would work together. 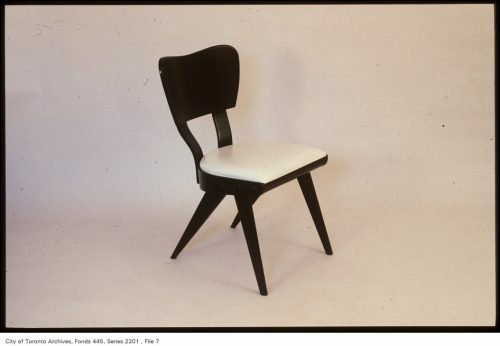 The splayed and tapered legs of the tables, chairs and side pieces lend a futuristic air to the furniture, and the curved plywood chair backs recall the modernity of airplane wings. 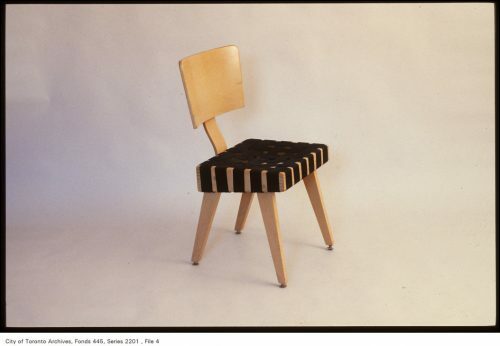 The wood came in a variety of finishes, from light to black, and the canvas webbing for the chair seats was available in cheerful red, green, black, blue, yellow or grey. 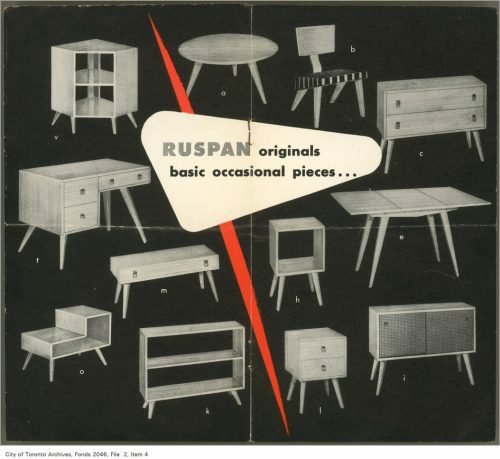 Ruspan furniture could not have looked more different from the heavy, upholstered and carved furniture of the forties. This list price brochure includes handy line drawings of each piece, making it easy to imagine mixing and matching the various components. 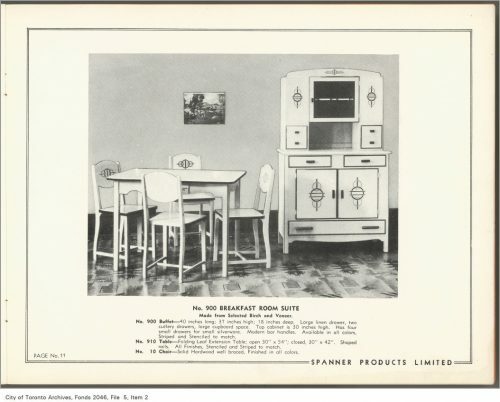 The line proved very successful, and was sold in department stores such as Eaton’s and Simpson’s, and through independent dealers in Toronto. 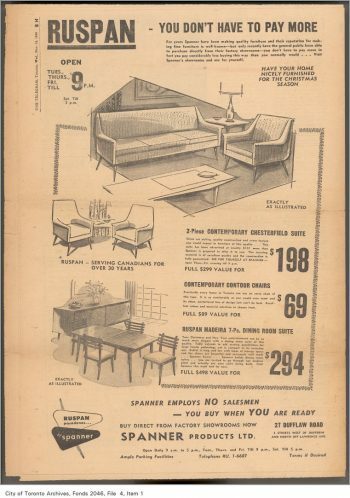 In 1952, Spanner introduced his California-inspired Catalina Line, which differed from the Ruspan Originals in that the chair seats were made of padded vinyl rather than webbing. The chairs also had two splats instead of one, and a butterfly-shaped back. 1953 saw the release of the Pasadena Line, which featured cork tops incorporated into the designs, and a rounder, less ‘space-age’ appearance. 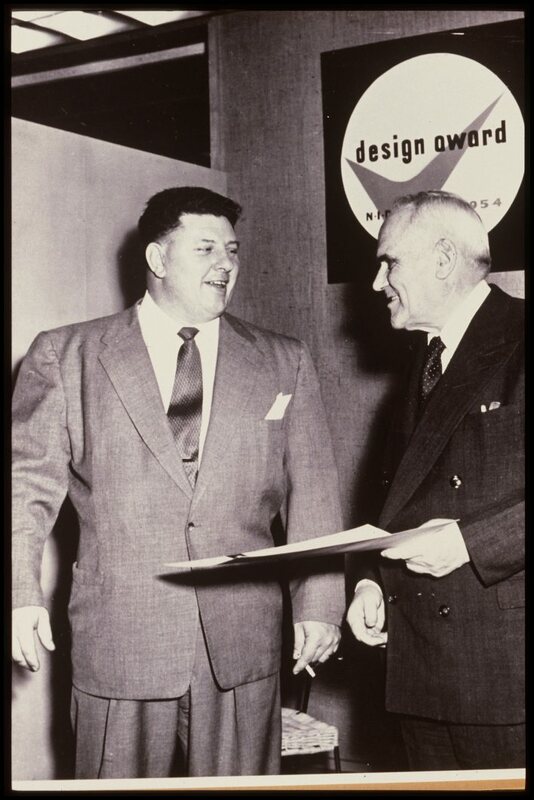 Russell’s father Albion died in 1953, and stipulations in his will left the company in a precarious financial position. 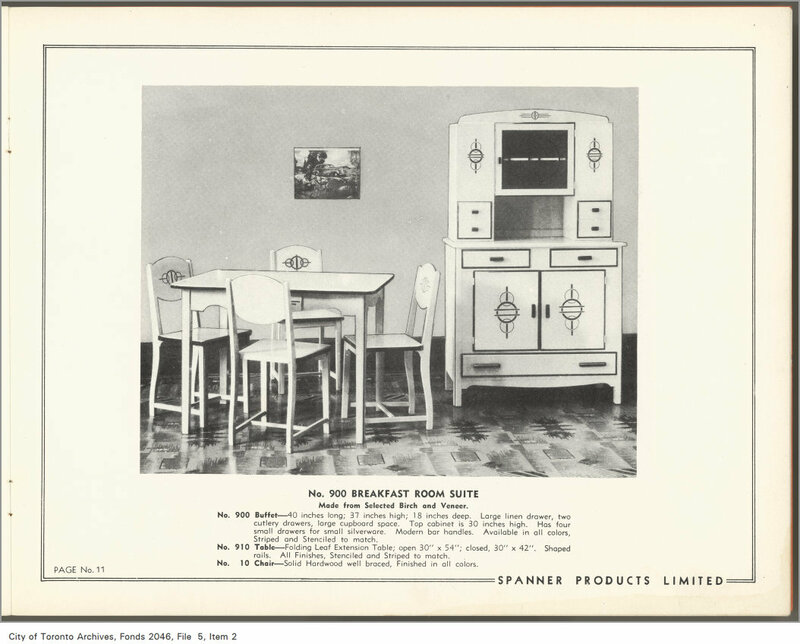 In 1955, the family’s factory on Elm Street was sold and the business moved north to a rented space near Dufferin and Lawrence. Spanner began to sell directly to customers from this location, offering lower prices than the downtown department stores. 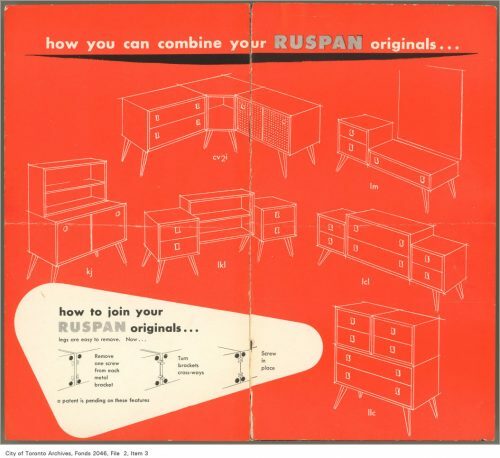 By the mid-fifties, Spanner furniture design began to be influenced by the wildly popular Scandinavian style, and the distinctive look of Russell’s earlier designs was diluted. 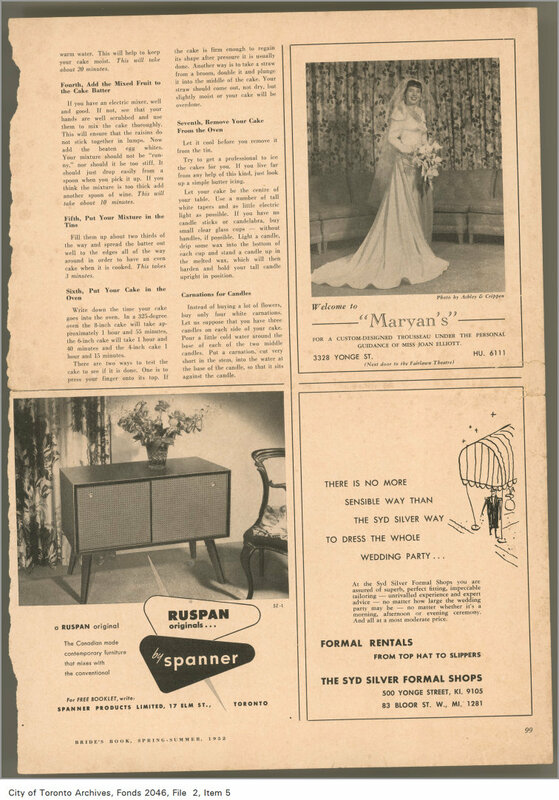 In 1959, the business went into receivership, but continued under new management until 1963 when the company was dissolved. 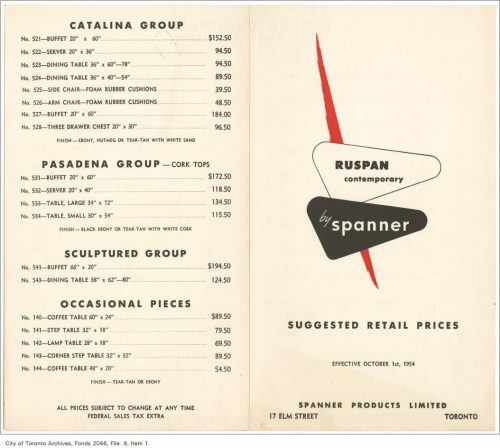 In the meantime, Russell Spanner had left the family business in 1961 to be the plant manager for Ontario Store Fixtures, where he continued to work until his death in 1974 at the age of 58. This full page newspaper ad from the Telegram shows the influence of Scandinavian design on the Ruspan line. Shoppers could buy direct from the factory, and pay less than in the downtown department stores. 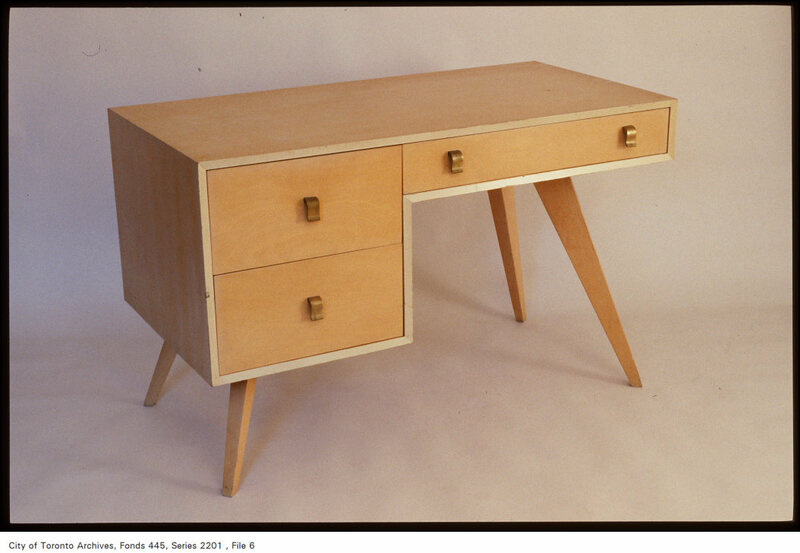 A resurgence of interest in Russell Spanner’s furniture came as a result of an important exhibit at the Power Plant Gallery, entitled A Spanner in the Works: The Furniture of Russell Spanner, 1950-1953. 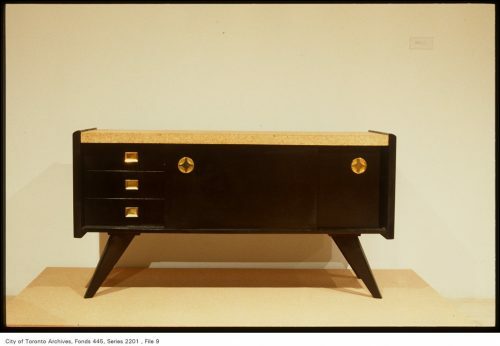 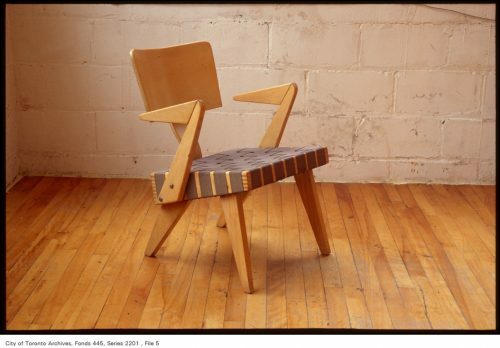 This 1990 exhibit was curated by visual artist Robert Fones, who spent years conducting original research into the history of Spanner and his furniture lines. 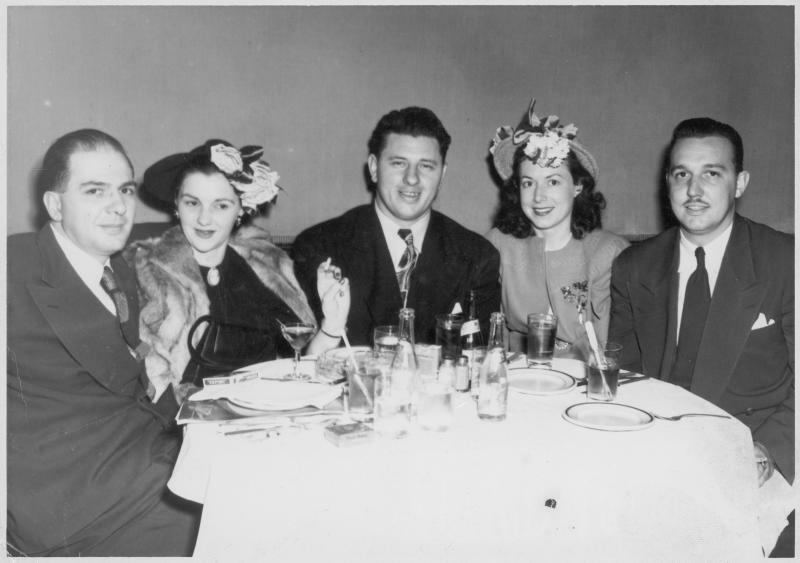 The Archives is the grateful recipient of donations of archival materials from Robert Fones, and from Russell Spanner’s two daughters, Lindsay Spanner and Lee Ann Burry, some of which are shown here. In addition, this text is largely based upon Robert Fones’ research incorporated into his 1990 exhibit catalogue. Russell Spanner furniture continues to be popular and re-finished pieces grace the homes of some fortunate Toronto residents. 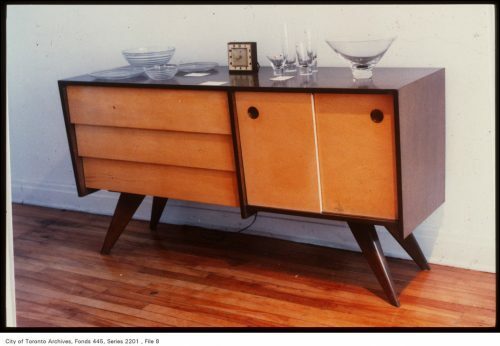 With its quirky, space-age, yet completely functional features, this furniture appeals to many of us who feel nostalgic for the fifties, whether or not we lived through the decade. 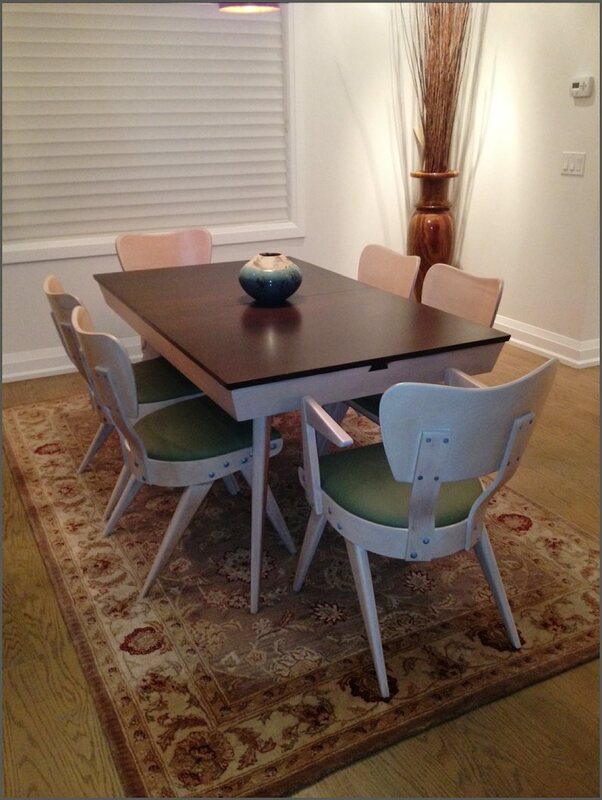 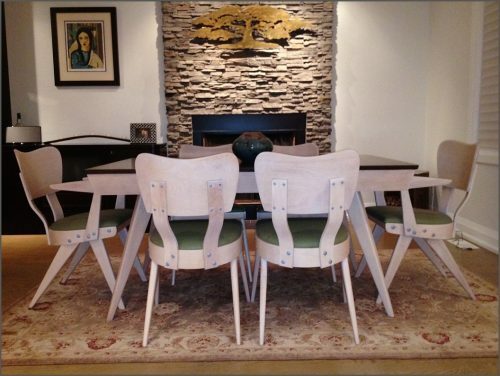 This Catalina dining room set shown in a contemporary Toronto home illustrates the enduring appeal of Russell Spanner’s furniture.Photos courtesy of Paul Burry, grandson of Russell Spanner.